One of the inescapable encumbrances of leading an interesting life is that there have to be moments when you almost lose it. You know, as a writer, I’m more of a listener than a writer, cuz if I hear something I will write it down. Well, I’m still here. Didn’t have to go to rehab, and I’m not broke. To describe my scarce leisure time in today’s terms, I always default to reading. There’s something missing in the music industry today… and it’s music. Songs you hear don’t last, it’s just product fed to you by the industry. The stores and the things like that, the business side of things came out at the point when, I’d say probably in the early ’70s, it looked like the year of the singer-songwriter was over, ’cause music changed in our time and the spotlight was out. Quitting doesn’t enter my mind. Places I’ve lived since then had to have some kind of uniqueness and character about them. And logically Key West, and then Down Island. So, all of that stuff sort of had it’s roots in New Orleans and went crazy. 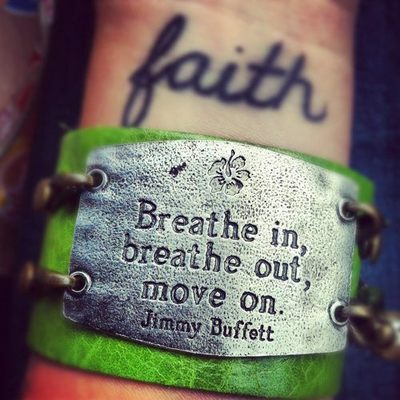 James William Buffett was born in Pascagoula, Mississippi, USA. He is an American singer, songwriter, guitarist, writer, producer and businessman. He is best known for his music, which often portrays an "island escapism" lifestyle. Together with his Coral Reefer Band, he has recorded hit songs including "Margaritaville" and "Come Monday". He earned a BA degree from the University of Southern Mississippi in 1969. He owns or licenses the Margaritaville Cafe and Cheeseburger in Paradise Restaurant chains. As a baseball fan, he was part-owner of two minor league teams: the Fort Myers Miracle and the Madison Black Wolf. 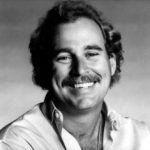 In 1993, he launched Margaritaville Records, with distribution through MCA Records. In 2015, he received an honorary doctorate in music from the University of Miami. His albums list shown below: Down to Earth, Living and Dying in 3/4 Time, Volcano, Coconut Telegraph, Last Mango in Paris, Hot Water, Banana Wind, Beach House on the Moon, License to Chill, Buffet Hotel, and 'Tis the SeaSon. He has written several books include: Tales from Margaritaville (collection of short stories), Where Is Joe Merchant? (novel), A Pirate Looks at Fifty, The Jolly Mon, A Salty Piece of Land (novel), and Swine Not? (novel). He co-produced a film, entitled Hoot.